The service was called to reports of a dog stuck in a river in Newton Abbot earlier today, Saturday 19th January. One fire engine attended the incident near Penn Inn at around 3.45pm. 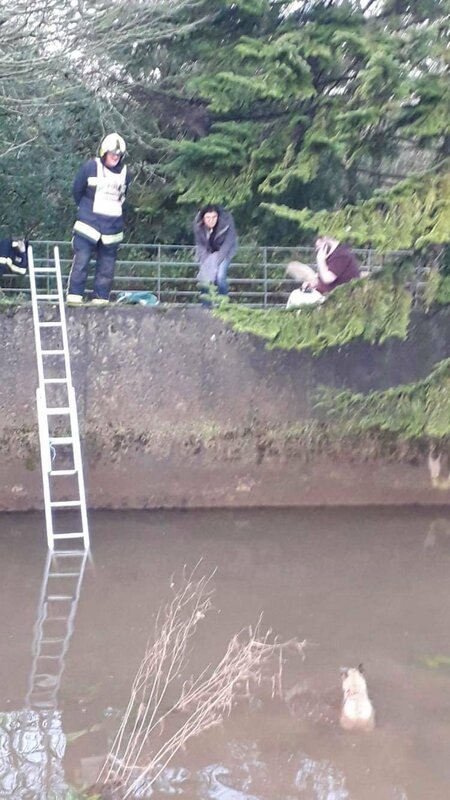 Posting on Facebook, Newton Abbot Fire Station said: “The incident was a dog stuck in the river. “A little terrier called Maggie had fallen in from the wall and was just about stood in the ever deepening water as the tide was coming in. “As one crew member FF Laura Hutchings dresses in water safety kit, little Maggie could not longer stand and had to start swimming. “She was already exhausted from her ordeal so was very relieved when Laura climbed down the ladder and picked her up. “Laura kept her fire helmet on instead of the water safety helmet so the visor could be pulled down as animals can be unpredictable! Luckily she was a very friendly little dog and welcomed the help.